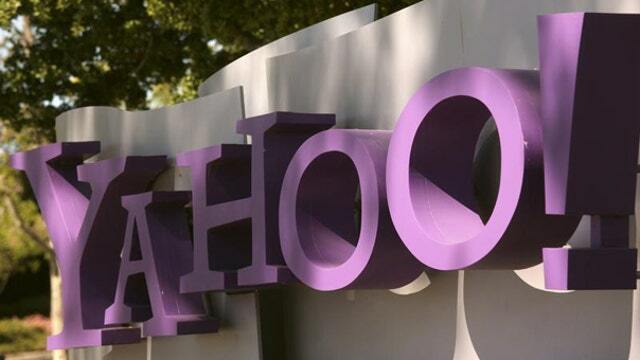 Earnings HQ: FBN’s Cheryl Casone breaks down YHOO’s third-quarter earnings report. Internet giant Yahoo (NASDAQ:YHOO) surprised Wall Street Tuesday, significantly beating analyst expectations for third-quarter earnings per share when it posted 52 cents instead of the 30 cents forecast. Yahoo saw revenue of $1.15 billion, up 1% year-over-year. Excluding traffic acquisition costs, revenue was $1.09 billion, also a 1% gain from the same period last year, largely due to growth in mobile, social, video and native advertising. The beat comes at a pivotal moment for Yahoo, which has come under fire for lackluster results in its attempted turnaround. Much of the company’s value has been tied to Alibaba (NYSE:BABA), but Yahoo has been required to reduce its stake now that the Chinese e-commerce giant trades as a public company. Yahoo netted $9.4 billion in pre-tax revenue after selling its Alibaba shares following the company&apos;s IPO. The move left many to speculate there are more acquisitions on the horizon for Yahoo. Since Marissa Mayer took over as CEO in 2012, her company has purchased dozens of other firms. Most of the deals have been small “acqui-hires” to gain engineering teams, but the company also spent approximately $1.1 billion to buy social blogging service, Tumblr last year. Since the start of the third quarter, the company bought back $1.6 billion of stock, of which $1.4 billion has been returned to shareholders thus far. Yahoo closed at $40.17, but soared 3% in extended trade after unveiling its third-quarter results. Yahoo has traded down 1.9% in the past month.